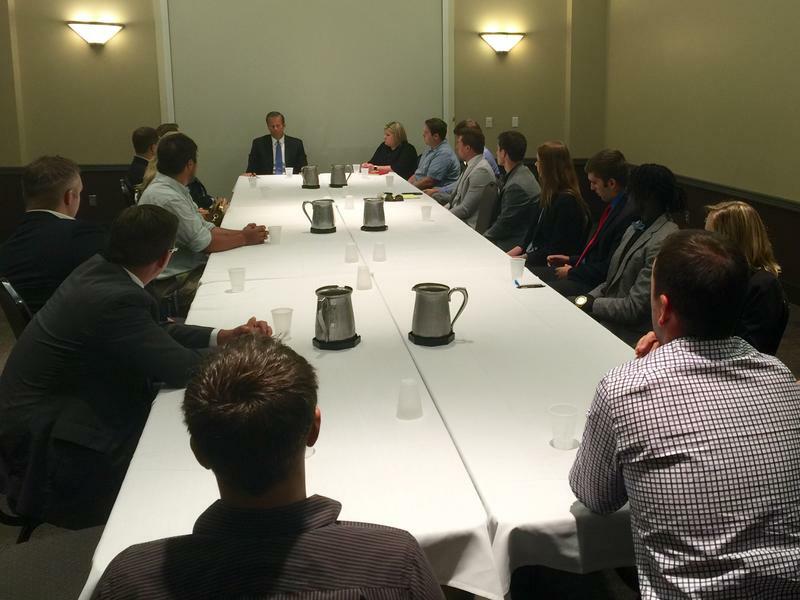 United States Senator John Thune spent part of his Tuesday talking with young professionals in Sioux Falls. The lawmaker first spoke to members of the Sioux Falls Chamber of Commerce before the smaller Q&A. People who work in energy, banking, business, and other industries are asking the lawmaker questions and explaining their concerns. It may be a roundtable discussion, but young professionals in Sioux Falls line a long, rectangular tabletop to ask questions of United States Senator John Thune. Brian Rand is one of them. He’s a co-founder of The Bakery in Sioux Falls. His operation provides a place for co-working, so people from different businesses can use the same community space to work and network. Rand tells the group that a recent Innovation summit in Washington, D.C. has him thinking. 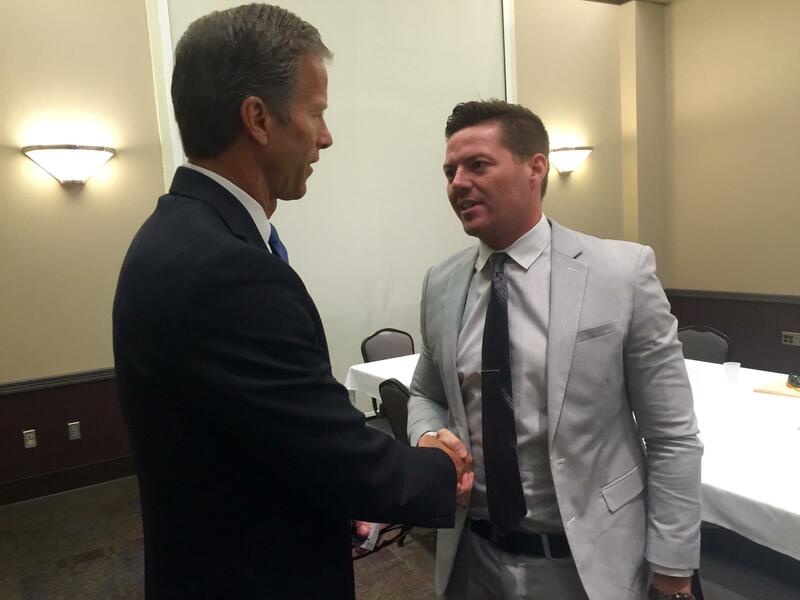 A trained workforce is US Senator John Thune’s initial answer. He says skilled workers are critical in an innovation economy. Thune says marketing South Dakota’s success in those areas is difficult, but he says people who visit the state are impressed and see potential. Thune answers other questions regarding education, nuclear talks, energy, and fairness for local business owners. Last week United States Congresswoman Kristi Noem held a discussion with the Sioux Falls Young Professionals. On August 25th they have an opportunity to talk with US Senator Mike Rounds.